What better way to start off my 2012 recipe post than for creating a recipe for iron chef? Earlier this week hubby made spaghetti squash and there was only as he said, “enough left to piss you off,” but I made him keep it anyway. So glad because it worked out perfect, squash is the theme and it forced me to be creative! This bread was perfect for a cold winter day. It only has a hint of sweetness and goes great with nut butter, vegan butter or vegan cream cheese. It would also make really great muffins. We preferred it to zucchini bread. Mix ingredients from flour to salt in a large bowl. Mix ingredients from apple juice to oil in a separate bowl. Mix wet ingredients into dry ingredients until well blended. Fold in cherries and squash. Pour batter evenly into loaf and bake for 40 minutes or until golden brown and a fork comes out clean when poked in the center. Allow to cool and flip out of pan. Hubby went crazy eating it but I am pretty confident that it yielded 12 pieces. 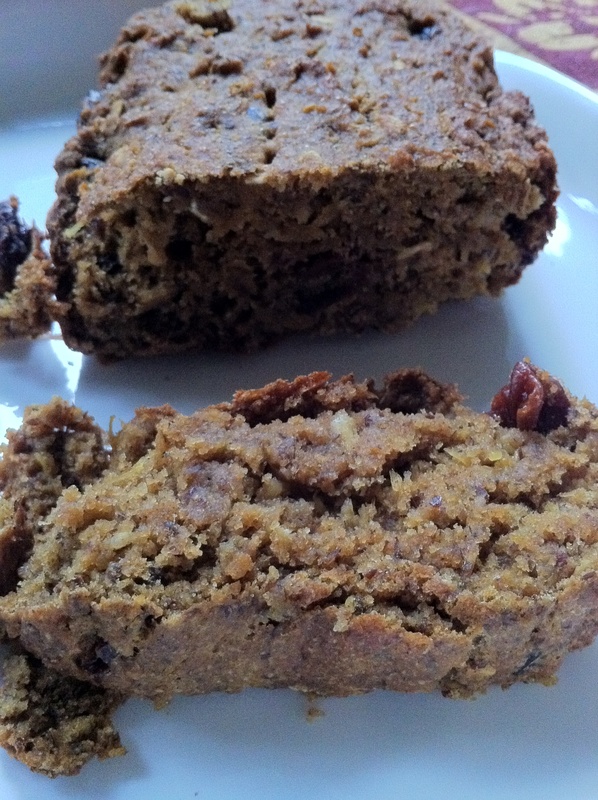 Gallery | This entry was posted in Bread, breakfast, dessert and tagged cherry, flax meal, squash, vegan. Bookmark the permalink.